Terpenes are aromatic chemicals found in different types of plant which includes hemp – a species of a cannabis plant. These can also be included inside resin, essential oils, cinnamon, and ginger. There are essential chemical compounds that give hemp and other plants their smells, tastes, and color. These are mainly the building blocks of crucial resins of the plant and essential oil. They can also be found in additives, food and aromatherapy products. In other words, this is what makes something like this possible: the overpowering and characterized smell you feel when you are nearby plants. For this very reason, they are referred to as aromatic compounds. In cannabis, it also provides the flowering of flowers and the smell itself. Plants like mint and rosemary have strong terpene profile, and therefore they are rich in these terpenes. Cannabis has its terpenes, and they are around 200 in numbers. And every bit of them provides different color, flavors, and smell. These 200 terpenes are also thought to be interacting synergistically with each other to accrue different health benefits. 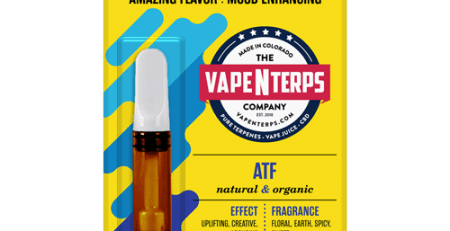 The constructions of terpenes are made of five organic and very volatile hydrocarbon compounds called (C5H8)n, which is also a general formula for them. The are two kinds of molecules that genetically make up the structure of a terpene. One is called isoprene, and the other (which is the smallest) is called monoterpene. A terpene is a result of these two molecules bio-synthesizing together. Terpenes themselves are also divided into different groupings based on their sizes. For example, they can be called sesquiterpenes, diterpenes, triterpenes, and even tetraterpenes as these names are based on dimensions. 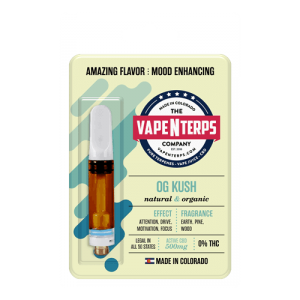 500mg OG Kush CBD Vape Cartridge for $49.99! This one has analgesic, antibacterial, antioxidant, antiproliferative and anti-inflammatory qualities. This one is the most prolific compound of all the mixture and is found different strains of the cannabis including hemp. It can also be found other plant and tree life like the pine trees, so no wonder there is a pine taste in the taste of strains which has this terpene. Also, it is considered as a good bronchodilator. This one is more prolific than Pinene or any other terpene found on the list. The presence of it also determines which kind of strain a cannabis plant is going to be. High myrcene means that you are going to couch stuck state, which is a good indicator of the Indica strain. Low myrcene implies that the strain is Sativa because low myrcene is going to give you an energetic high. It can also be found in Lemongrass, Mangos, and Hops. It essentially has an earthy and fruity taste or smell given to the strains that have it. This one essentially has analgesic, antibacterial, anti-diabetic, anti-inflammatory, anti-insomnia, anti-proliferative/anti-mutagenic, antipsychotic, and antispasmodic effects. Click here to read our article on Sativa vs. Indica! Found in lavender, basil, and hops, Linalool essentially has a spicy and flowery smell and taste to it. It has analgesic, antidepressant, anti-epileptic, anti-inflammatory, antipsychotic, anxiolytic, and sedative properties. This particular kind of terpene helps make the absorption of other terpenes easier through an individual’s mucous membranes. It spreads a citrus smell and flavor. This one usually found in the strains that belong to the sativa class of the family of the cannabis plant. It is anti-inflammatory, antiproliferative, anxiolytic, anti-depressant, and antifungal. It also reduces acid reflux (Gastro-Phasphegical Reflux) along with also having immunostimulant properties. 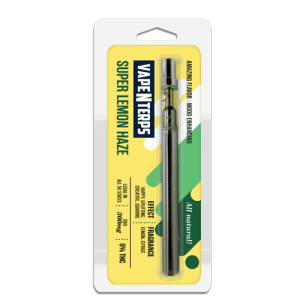 300mg Super Lemon Haze CBD Vape Pen for $34.99! 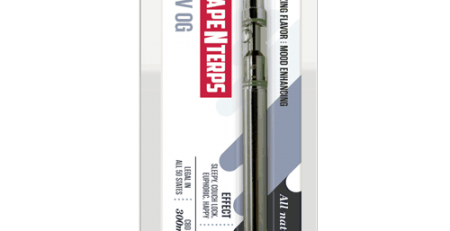 This terpene is essentially a spicy taste and smell inducing terpene. It essentially a lot of properties that are beneficial to the health of humans. It is because it has Caryophyllene has analgesic, antibacterial, antidepressant, anti-inflammatory, antiproliferative, antioxidant, anxiolytic, and neuroprotective properties. This one is the one that tends to attract with cannabinoid receptors (CB2) in the endocannabinoid system. This one is also the first terpene to be approved by the FDA (Food and Drug Administration) to be used as a food additive. It is also a mixture of α-caryophyllene / humulene, β-caryophyllene and caryophyllene oxide. This one also anti-bacterial, anti-proliferative, anti-inflammatory, analgesic and has high properties of being anorectic (which essentially means that it can be an appetite suppressant). This one provides a plant with kind of a “hoppy” aroma. While there are around 200 terpenes in cannabis plants and the most common ones found in the hemp plants are seen above. But did you know there are more than 20,000 more terpenes that evenly distributed across different floral familia in the natural world? This means they can also have other applications than just providing smell, flavor, and color to a plant. 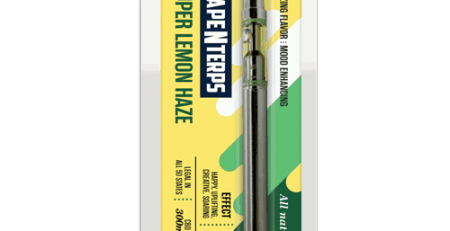 You have seen many of their applications described in the terpenes mentioned above, but they were only exclusive to hemp (although many of them can be found in other plants too). With that in mind, we shall say that the additional 20,000 of different kinds of terpenes shall have their benefits. First things first they help the flowers fight against bacteria, fungus, and pest. Another application of it is its use in the aromatic industry so that they can be used in different perfumes to give them different aromas. These are also used in the beauty and skin care industry. Last but not least, the pharmaceutical and food industries use it for various reasons. The former uses it for medicines for their benefits, and the latter uses it for food additives. 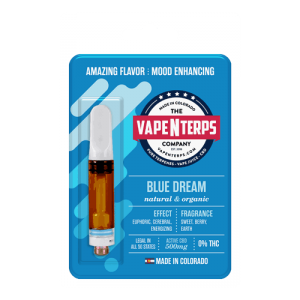 500mg Blue Dream CBD Vape Cartridge for $49.99! These ensuing words are the end of the article, and these will try to summarize what you may have learned so far. We talked about what are terpenes and what relation do they have with the hemp plant. We also talked about different terpenes that are commonly found in the hemp plant. And finally, we briefly also spoke about the various applications of so many different terpenes. Read our articles on What is CBD Oil and What CBD Oil is used for!